As a Yankee fan, the Scranton-Shuttle is a familiar term for what seems like a never-ending cycle of relief pitchers and, to a smaller extent, position players constantly coming up to the Major League Club, spending minimal time with the Yankees, and then packing their bags to go back to the Yankees' Triple-A affiliate in Scranton. While this is very useful for keeping the bullpen fresh and allowing certain players to fine tune their mechanics, Yankee management has had some history of making questionable call-ups and send downs. 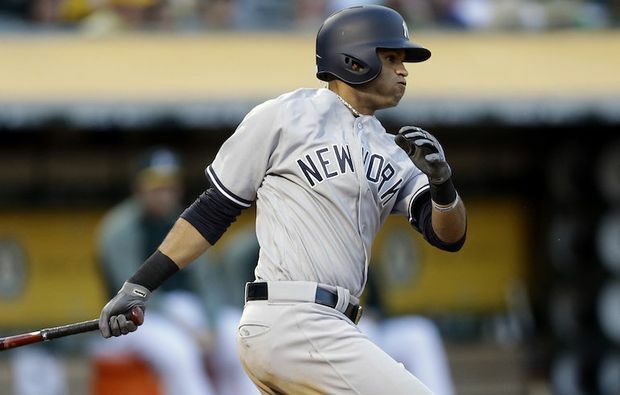 Today was no different, as along with activating Jacoby Ellsbury and placing Aaron Hicks on the disabled list, the Yankees sent down outfielder Mason Williams and relief pitcher Tyler Webb. The corresponding recalls were IF/OF Rob Refsynder and RHP Ronald Herrera. On the surface, this move appears to just be another minor roster shakeup that shouldn't make too much of a difference in the long run. However, when I got the notification of the move my first reaction was one of utter confusion and frustration. A move that was designed to be a prototypical Scranton-Shuttle shakeup successfully triggered me in a way that only ex-Yankee (love saying that) Chris Carter on a two-strike count would. Mason Williams was called up after Aaron Hicks hurt his Achilles on the previous West Coast trip. Williams played sparingly, but did an adequate job at filling in and helped rest the Yankee outfield. He stole two bases, played solid outfield defense, and even managed hitting leadoff well. Williams is a perfect fourth outfielder that can fill-in at any position, play great defense, run well, and give the starters days off and not make the Yankees lose all production from that spot in the lineup. With Ellsbury coming off a substantial concussion, odds are he won't immediately be able to play every inning of every game leading up to the All-Star break. Hicks is no longer in the picture due to his oblique injury, so including the recently concussed Ellsbury, the Yankees only have three true outfielders on their roster. So why would the Yankees not want the insurance of a fourth outfielder, who in all likelihood won't get that many at-bats in AAA anyways as he will be competing for time with Fowler, Frazier, Payton, and Cave in Scranton? Your guess is as good as mine. Rob Refsynder being Williams' corresponding recall is almost as puzzling as Williams being sent down. Refsynder will lose his last option and odds are he will not spend the rest of the season with the Yankees’ Major League roster. Unless the Yankees plan to DFA Refsynder in the near future, his recall makes zero sense. Refsynder has hit very well at AAA given nearly every day at-bats, but will not be given them while on the Bombers. One thought is that he can spell Tyler Austin at first base and play some outfield, so his versatility was of value to the Yankees, but if this was the case why would the Yankees not recall Tyler Wade, who isn't out of options and could even successfully play the whole diamond? Especially with the news that Starlin Castro has been dealing with a right wrist injury for the past few weeks, Wade would be a much better fit than Refsynder. Tyler Webb was recalled to help a bullpen that rightfully so was labeled as the scapegoat of the Yankees' recent struggles. Webb had never pitched in the Major Leagues before his call up, but looked solid in two appearances as he gave up zero hits and runs in two and one-third of an inning. While his Minor League numbers weren't outstanding, his stuff appeared to translate well to the Majors in his minimal mound time. Instead of letting him pitch in the bullpen for an extended period of time to find out if he was for real, he was sent down in favor of RHP Ronald Herrera. Herrera was called up during the West Coast trip (all bad things started with that trip) after pitching dominantly in Double-A, but it was as a starter. With the thought that he could make a spot start or split a game with another spot starter, many Yankees fans agreed with this move. That was until Herrera allowed two runs against the Angels in Anaheim and was promptly sent back down to Triple-A. How did he do in Triple-A? In his lone START, he pitched poorly allowing five runs in five innings of work. How was he rewarded? He was called up to the Yankees, of course! 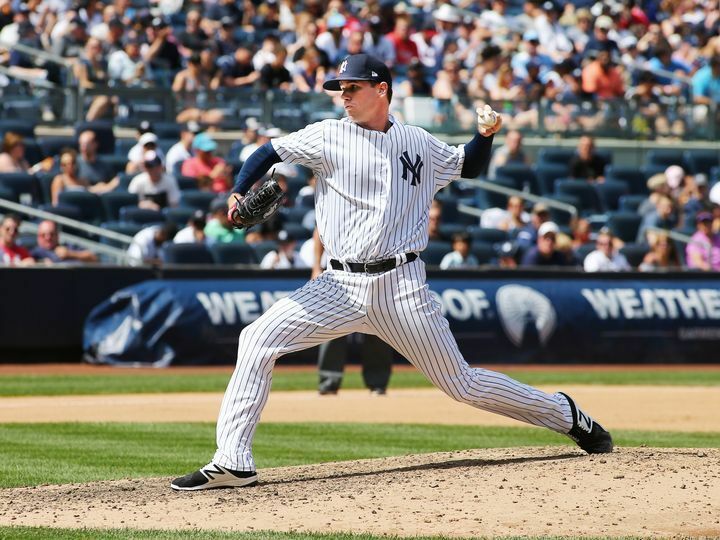 With Cessa slated to start Thursday and German and Green capable of pitching multiple innings, it is quite puzzling why Herrera was called up instead of either keeping Webb in the Majors or promoting another reliever. If the Yankees see him as a bullpen contributor, that is where he should have pitched in Scranton and not in their rotation. 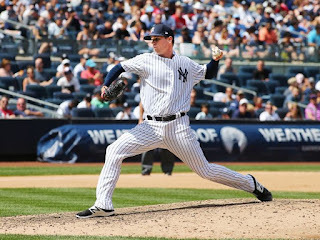 Bryan Mitchell has more experience as a reliever and would have made more sense than Herrera. While neither Herrera and most likely Refsynder won’t remain on the Major League squad for an extended period of time, small moves like this by management could be the difference between wins and losses and affect the progression of certain players. Webb will likely get another shot in the bullpen before the season’s end, but do not be surprised if Williams is not called up again unless an injury occurs.